Governors Island is playing itself in a new documentary film for the Discovery Channel, it was announced this week. Billion Oyster Project is a film set at the award-winning high school on the island, Urban Assembly Harbor School. The Hollywood Reporter said the doc is currently in production and will air under the Discovery Impact banner sometime in 2018. While Governors Island has been used for countless movie and television shoots during the past 30 years, this will be the first documentary set and filmed on the Island. The team behind it has a superb track record. According to THR, they are Roger Ross Williams and Kristi Jacobson. The first film that Roger Ross Williams directed and produced was Music by Prudence (2010), which won the Academy Award for Best Documentary Short Subject; he is the first African American director to win an Academy Award. Kristi Jacobson is a producer and director, known for A Place at the Table, Toots (about the legendary bar owner, Toots Shor) and American Standoff. Billion Oyster Project (BOP) is an ecosystem restoration and education project aimed at restoring one billion live oysters to New York Harbor and engaging hundreds of thousands of school children through restoration based STEM education programs. Students at New York Harbor School have been growing and restoring oysters in New York Harbor for the last six years. They have learned to SCUBA dive safely, raise oyster larvae, operate and maintain vessels, build and operate commercial-scaled oyster nurseries, design underwater monitoring equipment and conduct long-term authentic research projects all in the murky, contaminated, fast moving waters of one of the busiest ports in the country. 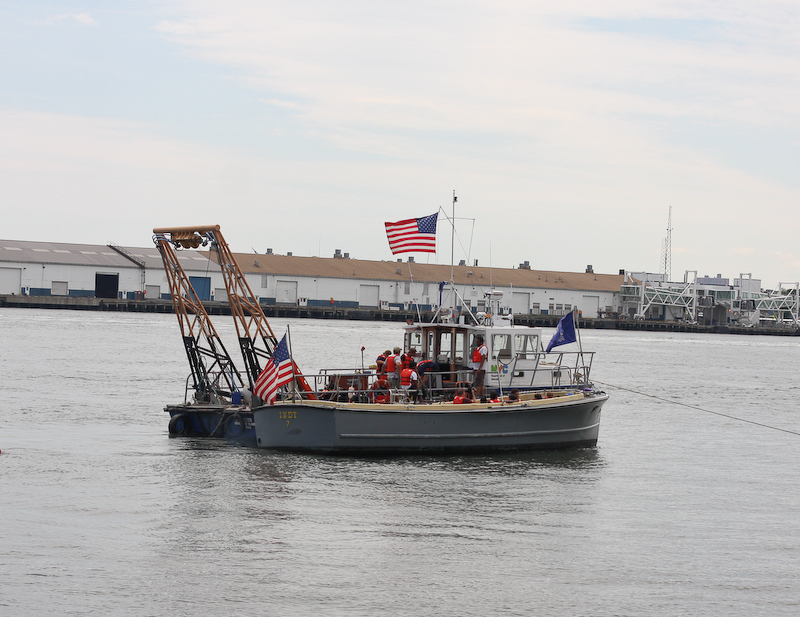 BOP has high school students on Governors Island that work directly with the scientists and aquaculture instructors. The school buildings are converted U.S. Army structures on Fort Jay. In addition to taking traditional courses in math, English language arts, and social studies, Harbor School students also have hands-on training in marine science and marine technology. With the partnership with BOP, the students learn valuable experience in the water and on boats. It was founded in Brooklyn in 2003 before moving to Governors Island in 2010. It currently has 432 students 62 faculty/staff. During the summer, alumni from the school work for BOP at a Nolan Park officer’s house, explaining the program to visitors. This is exciting news for anyone that appreciates Governors Island. Congratulations to Murray Fisher, president and founder of New York Harbor Foundation. He founded Urban Assembly New York Harbor School in 2003. And keep up the good work students of Harbor School, BOP, Trust for Governors Island, and Governors Island National Monument.